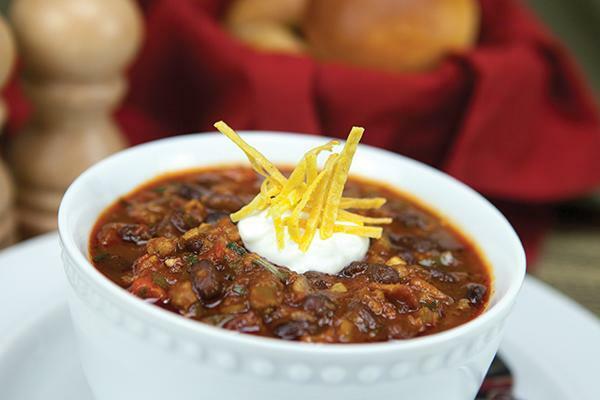 Now this is a good dish to warm your family on a blustery winter night or a great dish to bring to your ward chili cook-off. If you don’t win the cook-off, you will definitely win the award for the most prepared! 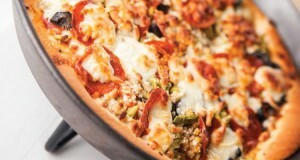 Whether you are on a camp out or just eating a fun meal with your family, this Dutch Oven Deep Dish Pizza is a crowd pleaser on any occasion. Here’s a yummy surprise to make for your sweetheart this Valentine’s Day in just 5 minutes. 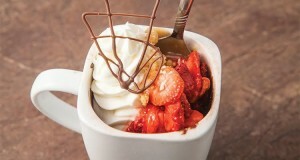 Whether a breakfast in bed, a surprise in the middle of the work day, or a date night in, this personal chocolate cake in a mug will melt your love’s heart. After all of the holidays are over, winter can feel dreary and gray. On a cold winter’s evening, it sounds nice to eat some warm comfort food to sooth the soul. 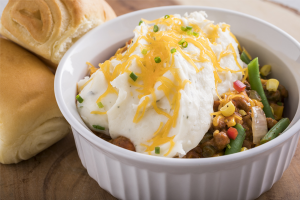 Shepherd’s pie combines meat and potatoes with a mixture of vegetables into one casserole that is great, even as a one-dish meal. Sometimes it can be hard to find a healthy and quick breakfast alternative to cold cereal, but if breakfast really is the most important meal of the day, finding a good go-to is vital. 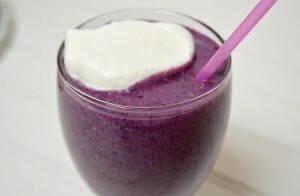 This breakfast smoothie is not only refreshing but can be made from freeze-dried fruits found right in your pantry. 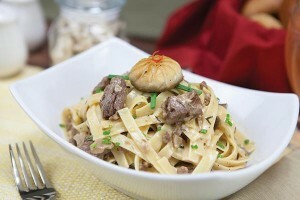 While the origins of beef stroganoff can be traced back to Russia in the 1800s, many countries have taken this Russian dish and made it their own, including the United States, Australia, Brazil, Japan, Iran, Sweden and Finland. No matter where you are in the world, the ingredients for this quick and tasty dish can come straight from your food storage and create an incredible meal in 30 minutes. 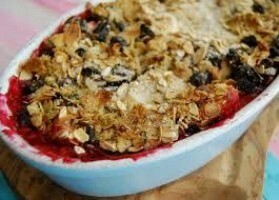 With freeze-dried raspberries, blackberries and blueberries in your pantry, you can make this triple berry crumble anytime of the year, even when berries are out of season and pricy.